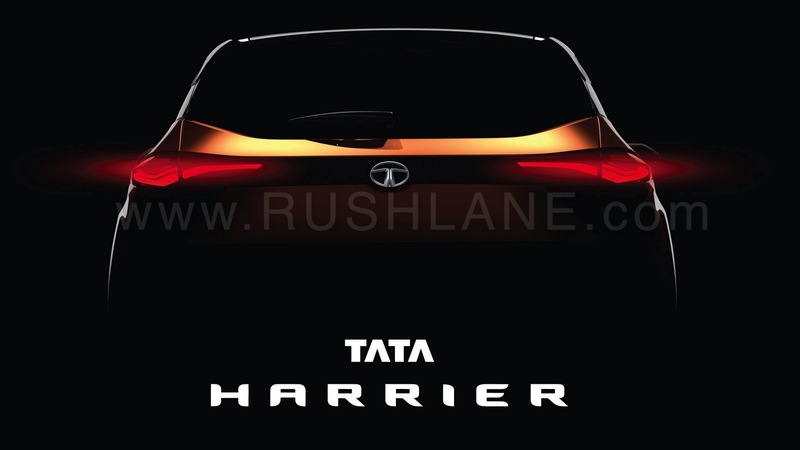 Tata Motors has confirmed the launch of their new Harrier H5X SUV will take place before March 2019. Expect launch price to start from Rs 12 lakhs. Hat tip to Nikhil Khadse and Aman Siriah for the images. Earlier this month, Tata Motors officially named their production-spec H5X SUV as the Tata Harrier. 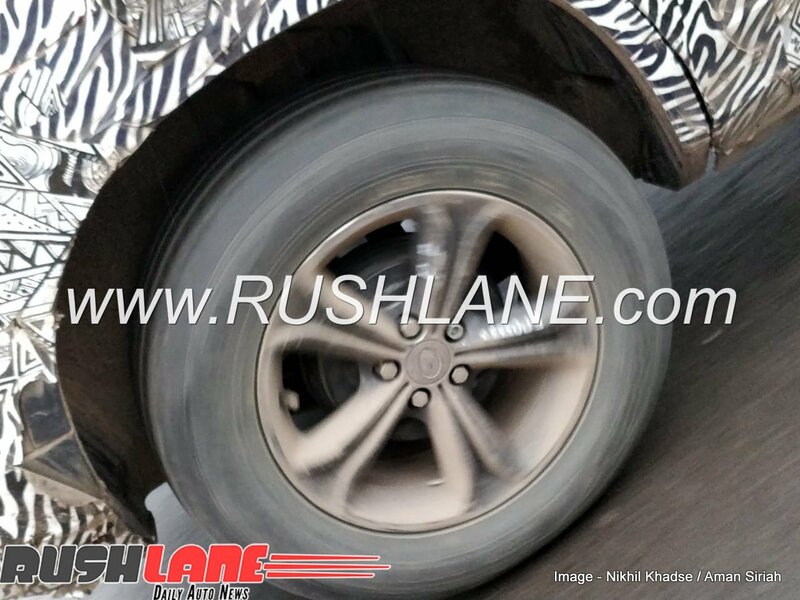 It is a 5-seater premium SUV which will take on the likes of Hyundai Creta. 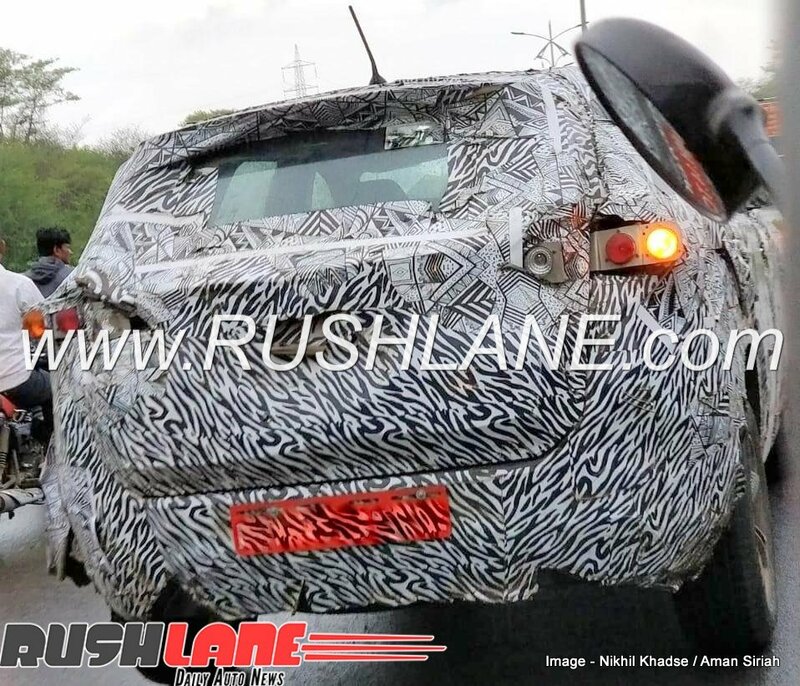 It is this SUV which has now been spied by Rushlane readers Nikhil Khadse and Aman Siriah. Spotted in Pune, near the company’s manufacturing plant which also houses their R&D center in India. 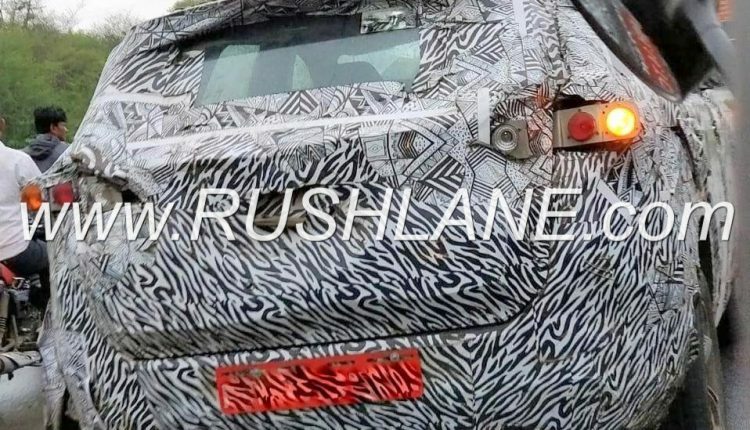 It is here that the car is being designed and developed, along with help from company’s design studios in Italy and the UK. Help is also received from folks at Jaguar Land Rover, which would result in a new flagship SUV for Tata. 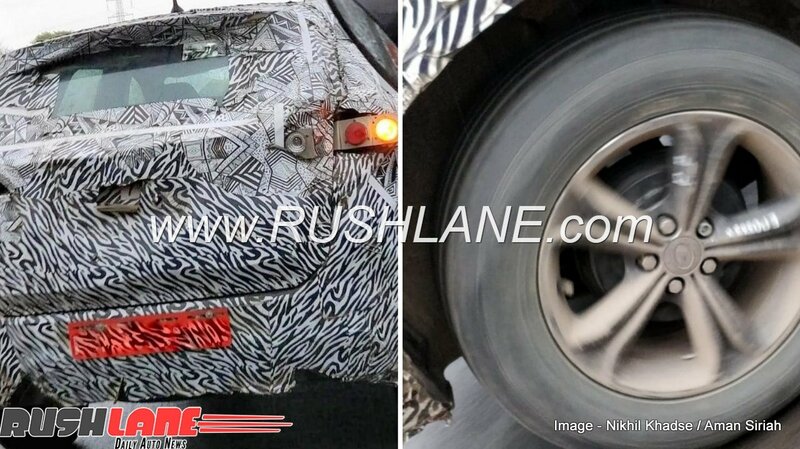 The spy images show Harrier H5X’s base variant. 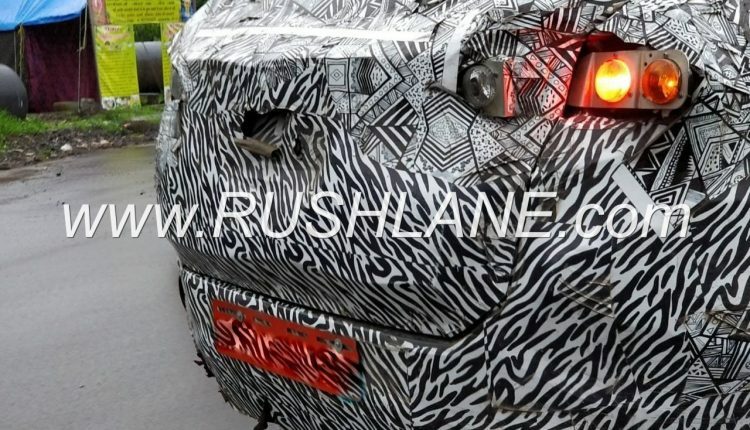 It does not wear production-spec taillights, these are make-shift lights which are used so that the car is road-legal for performing tests on public roads. 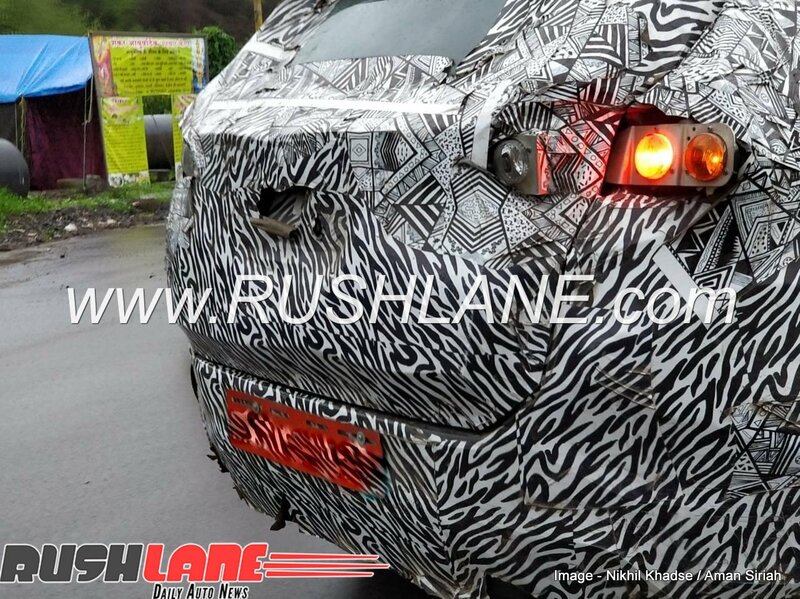 The production version of Harrier will be wearing much sleeker LED taillights. 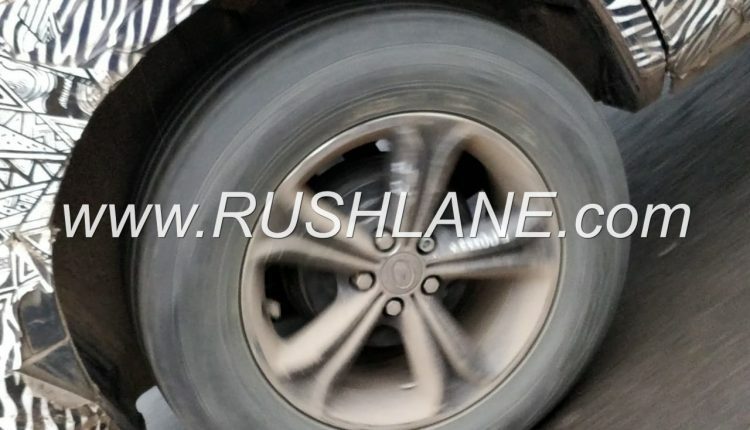 Base variant which you see in the image above, will get rear drum brakes, to keep the costs down. Top of the line variant will get all four disc brakes. 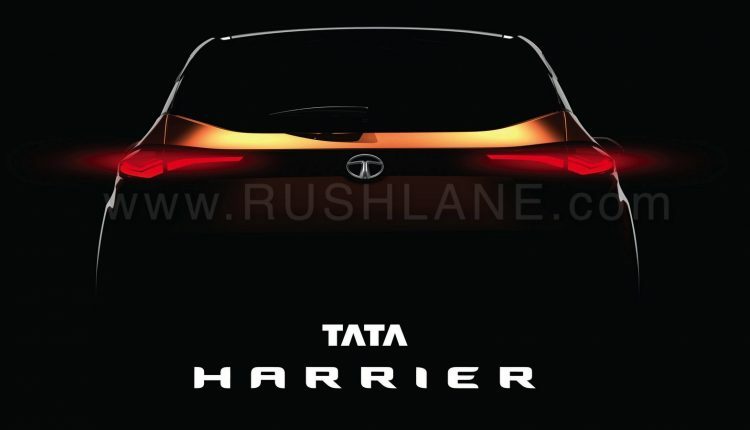 Tata Harrier is slated to be the toughest and most capable Tata SUV to date. It is positioned on the new Optimal Modular Efficient Global Advanced (OMEGA) monocoque platform and will be the company’s first model to be styled under Impact Design 2.0 philosophy. It will boast of a slim front grille, contoured side profiles and a raked roofline. 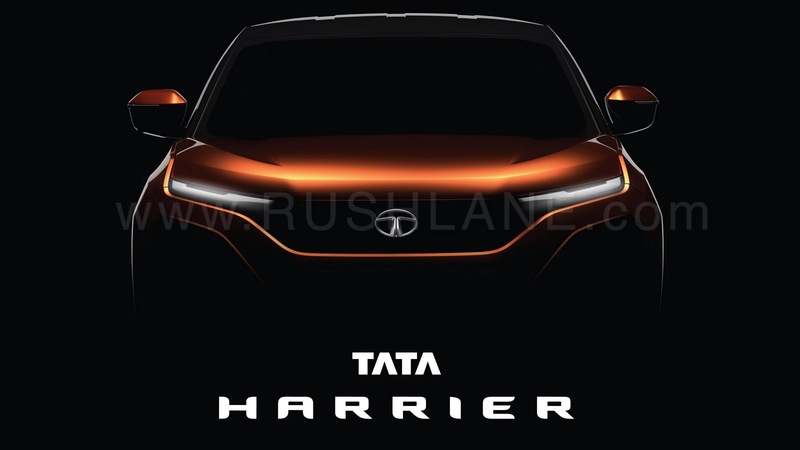 Teaser of the production-spec Tata Harrier also reveal a humanity line running across the lower edge of the grille along with LED headlamps flanking the upper grille. 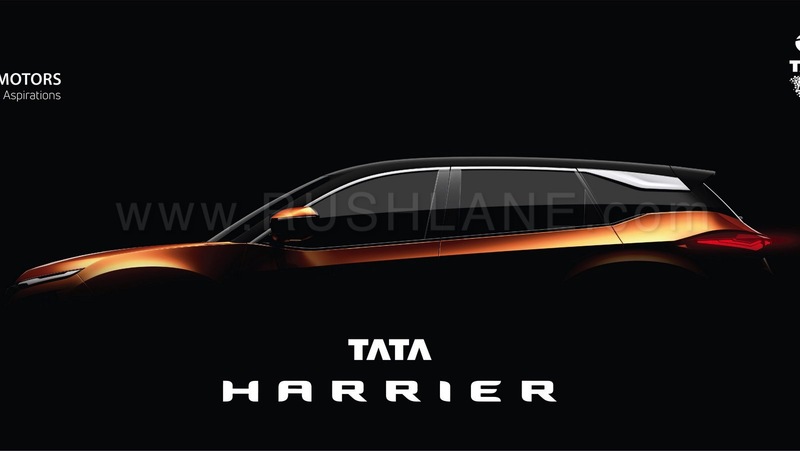 Interiors have not yet been revealed, but will sports some features that have not yet been seen on a Tata model. Set to rival the likes of Hyundai Creta and Jeep Compass upon launch, the new Tata Harrier will be offered in both petrol and diesel engine options. The petrol engine has not yet been detailed yet. But report confirms that diesel engine will be in the form of a 2.0 liter MultiJet II engine offering 140 PS peak power. Production of the Tata Harrier will be conducted from the Fiat plant in Ranjangaon, where the Compass is also being manufactured. This plant is co-owned by Fiat and Tata.